A man while looking at a photograph said, "Brothers and sisters have I none. That man's father is my father's son." Who was the person in the photograph? 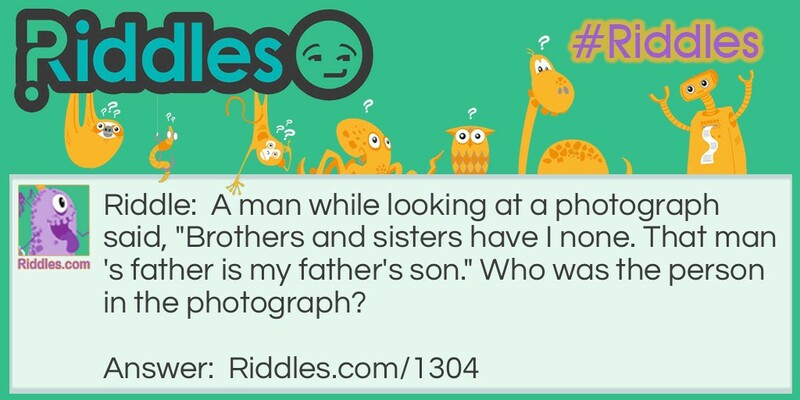 Brothers and Sisters I have None... Riddle Meme with riddle and answer page link.